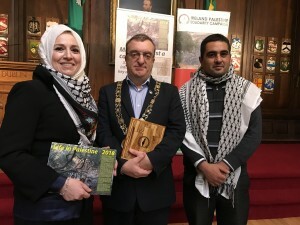 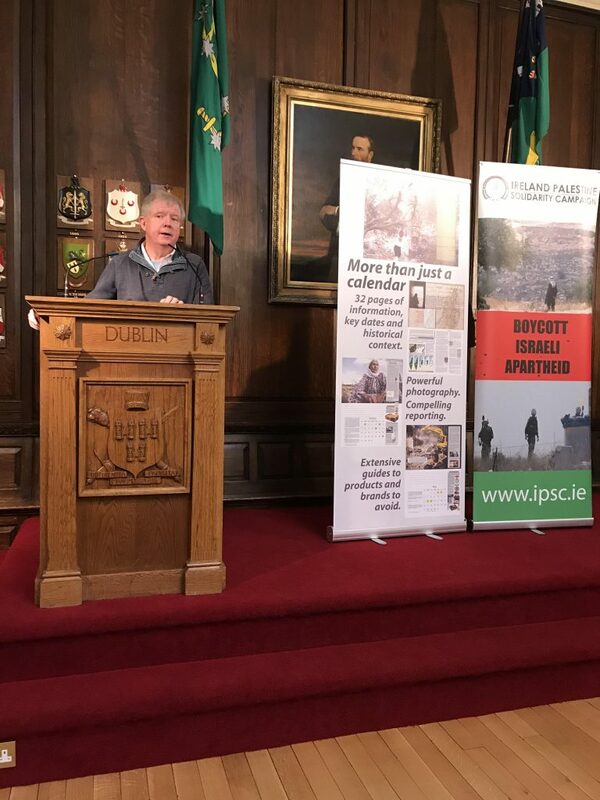 On Friday 10th November, the Lord Mayor of Dublin Mícheál Mac Donncha officially launched the 2018 ‘Life in Palestine’ calendar produced by the Ireland-Palestine Solidarity Campaign (IPSC). 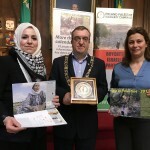 Also speaking were Ms. Jilan Abdalmajid, Deputy Head of the Mission of the State of Palestine to Ireland, IPSC Chairperson Ms. Fatin Al Tamimi, and Jim Bowen from the IPSC’s Cork Branch. 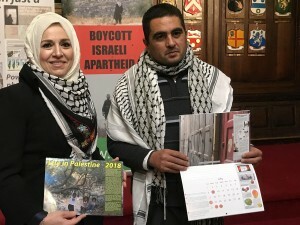 The theme of this year’s calendar is ‘Life in Palestine’, and every month explores a different aspect of the lives of ordinary Palestinians, and the difficulties and injustices they face living under Israeli’s apartheid system and military occupation. 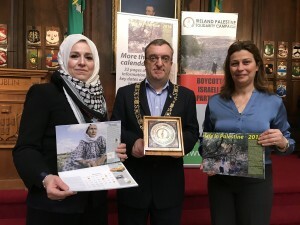 We begin in January with the Israeli occupation and depopulation of the Latrun area, and end in December with a message from Palestinian Christians asking for justice. 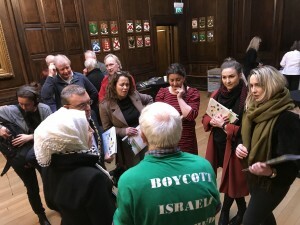 There are plentiful notes for taking action, boycotting Israeli products, and supporting the Boycott, Divestment and Sanctions (BDS) movement accompanying every month. 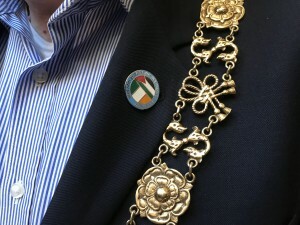 Click here for some selected images. 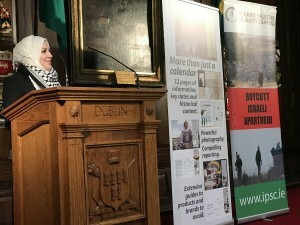 The calendar was designed by activist Mike Rahr and was produced by the Cork branch of the IPSC. 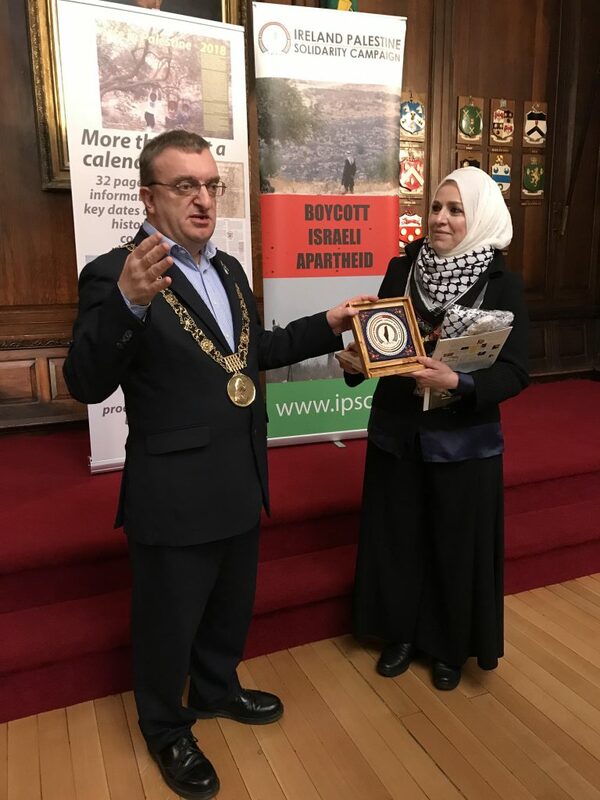 Ms. Tamimi presented the Lord Mayor with an IPSC plaque featuring of olive wood from Bethlehem and Herbon’s famous ceramic art. 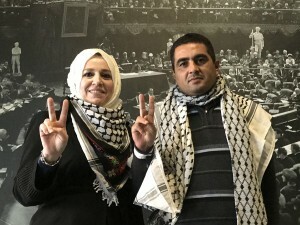 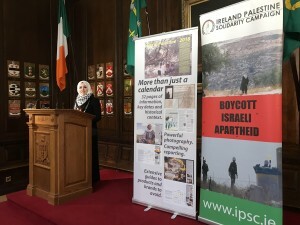 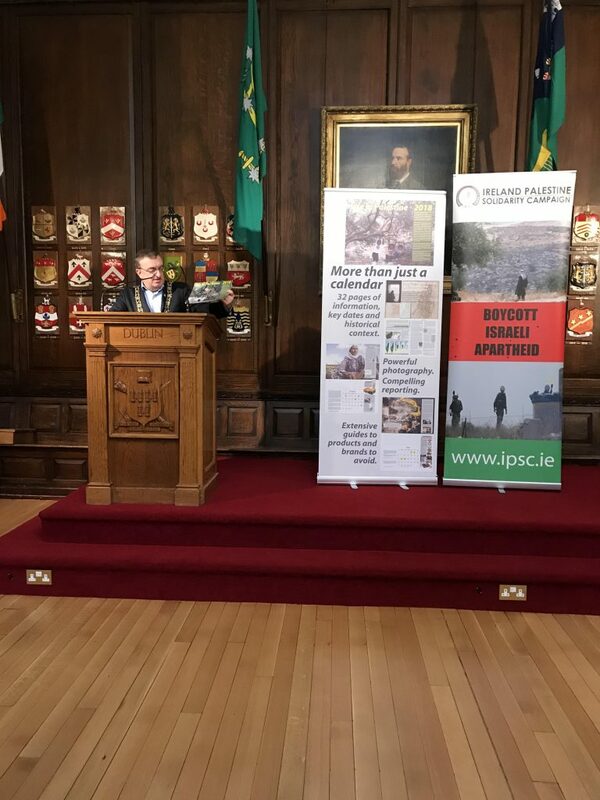 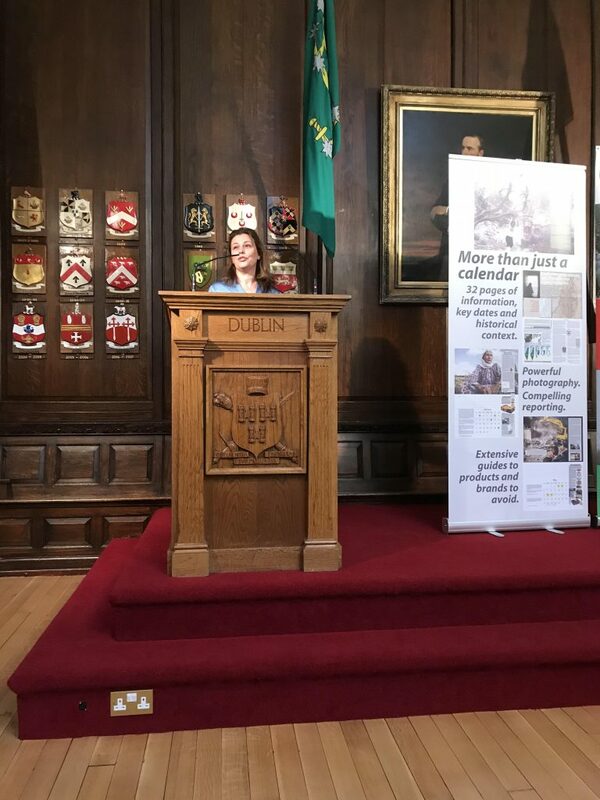 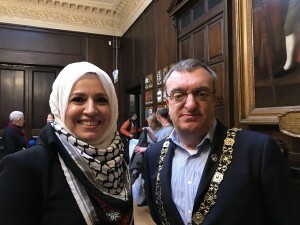 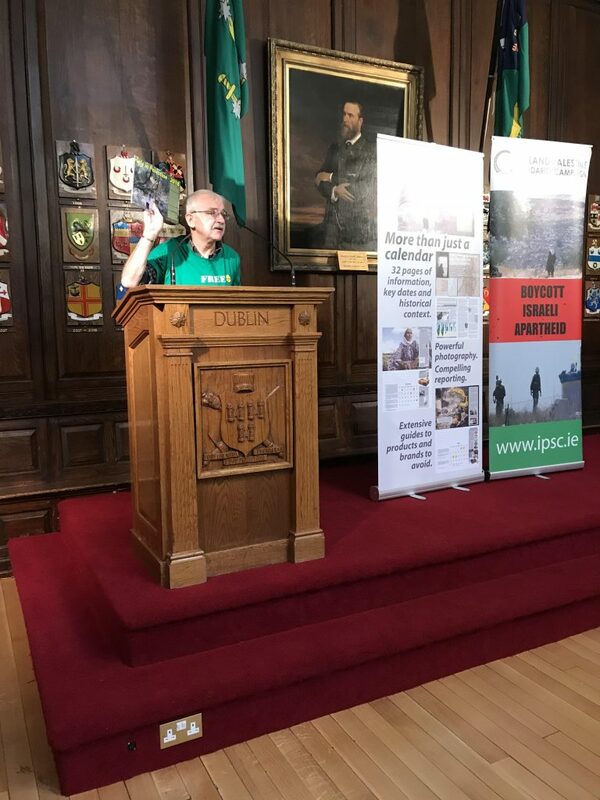 Alongside members and supporters of the IPSC, also attending the event were representatives from Academics for Palestine, PalFest Ireland, and we were honoured to be joined by Badee Dwaik of Hebron Human Rights Defenders.